The Invite Inn was built around a sentiment that is rare these days. They believe that one of the best ways to show people you care is to take a few minutes to pop a personalised invite or thank you card in the post; just like the good old days when the postman delivered more than just bills and bank statements! They also offer tailor-made service; which means that if you can’t find exactly what you’re looking for, they’ll design it for you! No matter how big or intimate the occasion is, their designers have the software and experience needed to produce a very special and bespoke invite. 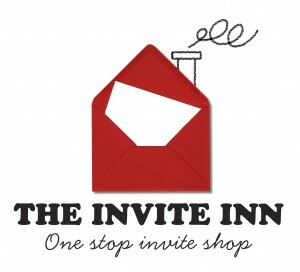 The Invite Inn is continuously looking for quirky invitation designs that are not widely available in Irish stores and you’ll see many of these throughout the site. They hope some of these titles inspire you to host your own event because ultimately, that’s what The Invite Inn is all about: Bringing people together. If you have any queries on their ranges or if you’re just in need of a little inspiration for your event, get in touch anytime using the form below and they’ll do their very best to help.